These steps represent a heavy cost for the company. Just look at the first two, with these two you did not even sell anything! So it is true that keeping your existing customers will be much cheaper by convincing them to buy again rather than convincing a prospect who has never bought your products before. Why loyal customers are so important? Even though, usually companies invest more in trying to attract new customers than investing in keeping the existing ones. According to some studies, 44% of companies focus more on attracting new customers against only 18% that focus more on retention. Moreover, almost 90% of companies see customer experience as a key factor to gain loyalty and retention among the customers. Finally, the probability percentage of selling to a new prospect is 5-20 against 60-70% for existing customers. Those numbers are even more true in the retail industry because the competition is so huge that it is easier/cheaper to invest in existing customers. That is why a company from the retail industry decided to implement a strategy to increase the retention of its customers with the help of an external company. Let’s start the success story of this project. Committed to legacy and long-term quality, MONTAGUT was founded in 1880 and first entered the Chinese market through its Hong Kong headquarters. Always preserving French style and elegance as its motto, the French clothing brand opened numerous stores across Asia, with now up to 350 points of sale within China alone. Built on a philosophy of talented people and great results, QPSoftware is a results-driven, full-service digital agency specializing in website design, WeChat/Mobile app development and digital marketing. Established in 2007 in Shanghai, its mission has always been to create websites and digital solutions to help our clients grow their businesses online. MONTAGUT’s need was to increase the retention rate of their existing clients (in the purpose of increasing the sales of the company) by developing a loyalty program through an application. How Loyalty Programs help your business? The main purpose of Loyalty Programs is the customer retention, a big base of loyal customers is the best way to thrive in the global market. Loyalty programs are designed to gain the trust of the clients and give them solid reasons to come back. Loyalty programs are also a useful tool to know your customers and improve your communication with them. Loyalty programs gather the data provided by their members, so you can know exactly what they like, how and when. In this way you can focus your marketing efforts in giving them the perfect experience. The most famous loyalty program we know is the loyalty card or also called the points card. But then, MONTAGUT saw further than just a common loyalty card. They planned to use the smartphone trend and use an application to develop their loyalty program. How QPSoftware Web Agency helped Montagut? After a few meetings and some brainstorming between the two companies, they have reached the point of developing a loyalty program application through iOS/Android to increase sales and improve retention. The app will feature a store locater, purchase history, as well as an earn & reward system among other features. Also, members who provide and perform specific information and actions such as sharing a picture on social networks or verifying their phone number and WeChat account, can earn up to 20 different Badges thanks to a gamification system. Indeed, as a loyalty incentive, QPSoftware believes that this is the future of customer relationship management, and which can be used as a significant sales layer for MONTAGUT. In order to take the brand to the next level, QPSoftware is already helping MONTAGUT with the development of the new version of its mobile loyalty program application. The upgraded loyalty program app will be enhanced and will be linking the users’ points and rewards to other in-store purchases and therefore entice them with their favorite products to come back. Last but not least, QPSoftware built MONTAGUT’s e-commerce website and mobile loyalty program app using CEGID’s Business Retail (CBR) multi-channel software solutions, thus enabling retailers of all sizes to optimize their business processes, efficiently manage their activities and ultimately improve the customer experience. To generate more engagement with the applications users, we had to design and develop a reward system based on the gamification. We created a reward system based on badge and thus points where the users had to complete certain tasks or mission to collect the badge which will allow them to receive some points that they would may use as discounts for their next purchases. If you want to have a successful loyalty program you will need to integrate some gamification by applying different typical elements of game playing such as collecting badge and rewards to motivate the interaction with users which will encourage their engagement with the application. When you are creating a loyalty program and that you are using it with physical stores, it would bring an added-value if you are able to use this asset which is the localization of the stores. 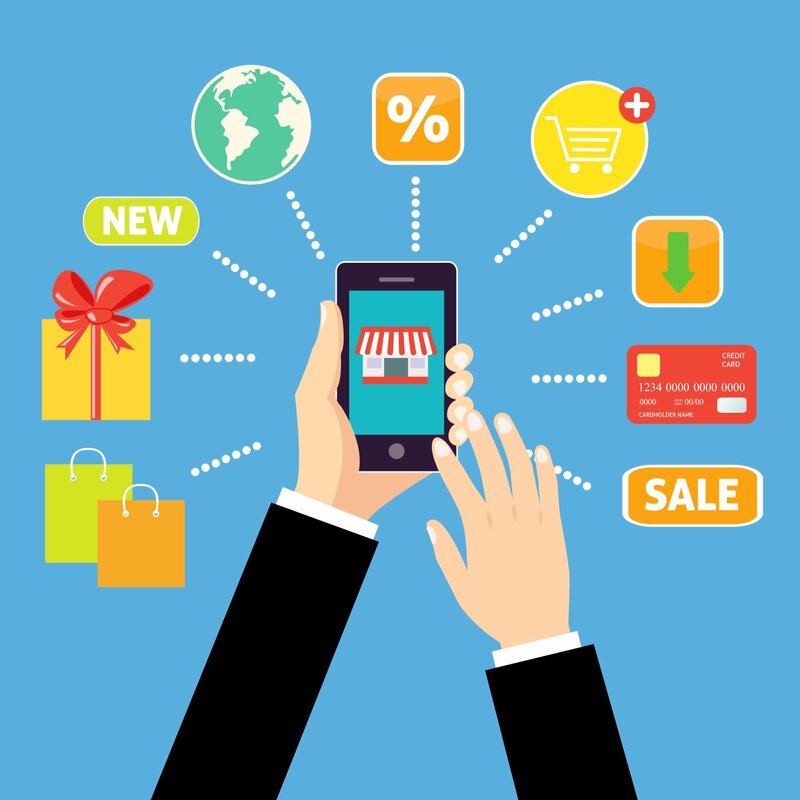 Indeed, you will allow the users to localize the shops close to you but also close to specific address and combine with gamification and a reward system, your app will have a high chance of succeed. Social media integration is very important nowadays. It allows the people to spread the word about your products and/or service. It will be possible if you can add the sharing function into the app and thus create a certain community around your offer. You can also integrate the social element at the very beginning when you will suggest the users to link their social account to the loyalty program or app, to allow you to collect all the necessary data regarding your users. Which will represent a very good value for your next marketing actions. Who Can Use A Loyalty Program And A Loyalty Rewards APP? Basically, any company whose purpose is to increase their sales and improve the retention of their existing customers can use a loyalty program. About the loyalty rewards APP that QPSoftware developed for MONTAGUT, any company can use this loyalty rewards APP but one sure thing is that the companies who are using the same software of point of sales, CEGID’s Business Retail (CBR), as MONTAGUT the development and the implementation will be faster for them than for the companies that are using another one. After reading this article about the loyalty rewards APP and the case of MONTAGUT, if you are interested in this kind of solution to develop your company do not beat around the bush and go to see QPSoftware, they will help you to accomplish your purpose. Do not hesitate to contact us.